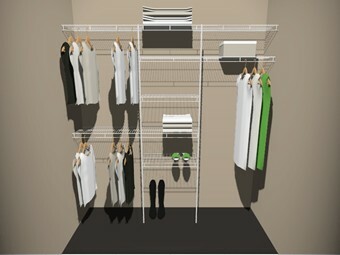 Also have a look at our Kiwi Collection - Melteca wardrobe systems for less. Can't find a design that suits your needs? We will customise a system for you to create your perfect wardrobe.